Antique gold-tone metal tangle with small shimmering crystals makes Lyla earrings mysterious and elegant. 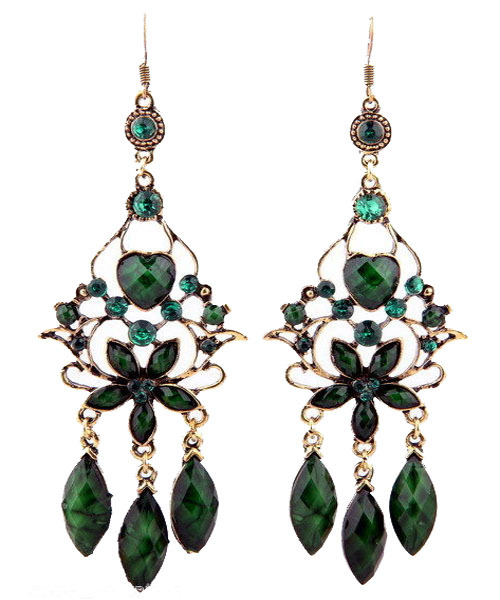 The earrings feature a heart-shaped crystal, three large dangling beads and a crystal flower. Shop from one of Australia’s finest online fashion jewellery stores right here, right now!